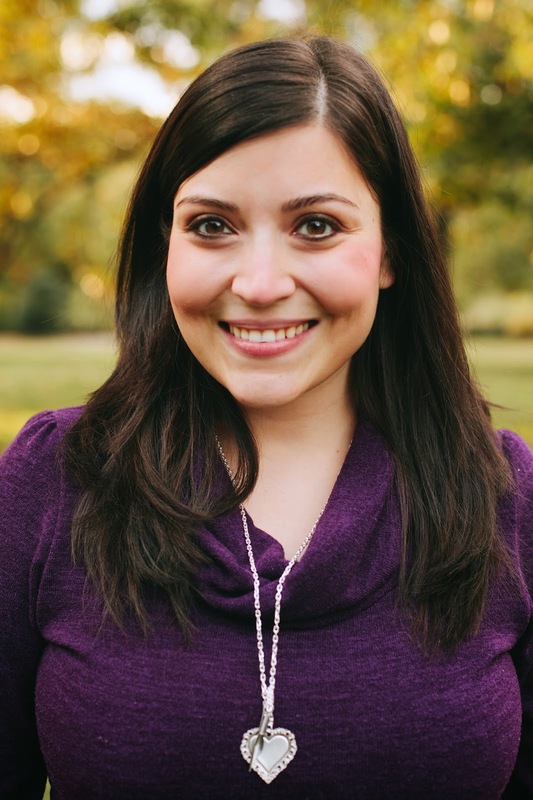 Likes: Husband’s dimples, daughter’s laugh, alliteration, foxes, Madea movies, Longhorns football and Rangers baseball, making lists, and trying new recipes – especially if I don’t have to do the dishes! Dislikes: Entitlement, snobbery, cap sleeves, the word “moist”, Claymation, and clowns. They all give me the eebie jeebies! rem: Welcome to my blog, Laurie. Tell us a little about yourself. Where were you raised? Where do you live now? LAURIE: I am one of those obnoxious Texans who still claim the Lone Star State even though I’ve lived in Tulsa, Oklahoma, for something like 90% of my life. rem: I’m the same way with Colorado; wasn’t born there and I moved away 28 years ago, but 16 years afforded me the claim to Colorado as my “other” home. (I live in SC now.) Tell us three things about yourself. LAURIE: 1) I write contemporary romance with protagonists in their 20s and 30s. 2) I believe that God’s love is unfailing, anything can be accomplished with a good to-do list, and that life should be celebrated with cupcakes and extra sprinkles. 3) I could watch handlettering videos on Instagram all. day. long. rem: I am a list-o-phile—lists everywhere! Mini lists and master lists and lists OF lists… What’s your favorite flavor of ice cream? What’s your favorite cookie? rem: MUST.TRY.THESE.COOKIES! Coffee or tea? Sweet or un? Flavored or not? LAURIE: Unsweetened tea for me! I love a nice tangy berry tea, chai, or a black tea scented with a touch of vanilla. rem: I also drink my tea unsweetened but don’t do flavors. I do, however, drink cinnamon hazelnut coffee (also unsweetened.) Vacation: beach or mountains? LAURIE: Yes, please. I pick mountains any day, preferably with a river or stream nearby. rem: I agree 100%! What do you do as a hobby? LAURIE: Cooking, especially when people I love are involved. rem: Me too! Gee, we have a lot in common! When reading, what makes or breaks a story for you? Your fiction pet peeve? LAURIE: Give me a broken and realistic character with compelling redemption, and I’m sold! My pet peeve in fiction is a character falling in love despite the knowledge that the other person is taken–even if he or she is truly single. rem: Yeah, hard to get into characters who have no substance—or faults. Which book have you read the most in your lifetime? LAURIE: For fiction, I always go back to the Harry Potter series. Nonfiction: The Ragamuffin Gospel by Brennan Manning and A Severe Mercy by Sheldon Vanauken are regulars in my rotation. LAURIE: Robin! This is SUCH an unfair question! In my genre, it would definitely have to be Carla Laureano’s James MacDonald from Five Days in Skye or Becky Wade’s Bo Porter in Undeniably Yours. rem: I know! So many to choose from! What would you do if you weren’t writing? LAURIE: Let me preface this by saying two things: 1) I wouldn’t redo one second of my life or college career and 2) I can guarantee no one else will have this answer. If I weren’t writing and had unlimited time and money (and patience and youth) to go back to school, I would love to pursue an MD Ph.D. and do research in cell/molecular biology. Yes, I am the rare writer who is also a math and science geek! rem: I love science! And although I am not a math person, I don’t hate it either. I hope you get to pursue that degree someday! How long have you been an Alleycat? How did you become an Alleycat? 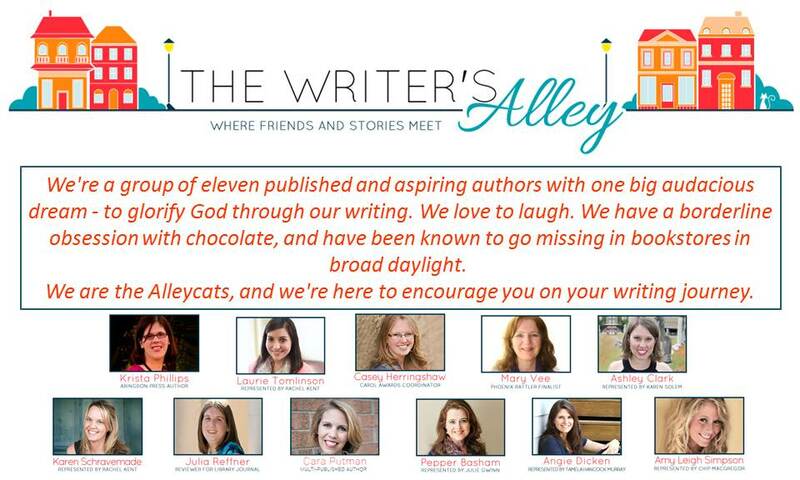 rem: As an Alley Pal, I love all you gals “from the outside.” Tell us a little about your writing journey. LAURIE: I have been filling notebooks with fiction since I was a child but only really believed in my dream and decided to go after it in 2013. It’s been a rollercoaster experience for sure, as anyone pursuing publication can attest—but this year has been fantastic because it’s taught me that God is constant. When I’m working for Him, no rejection or setback or difficult storyline can take away the joy and love of writing. rem: Right there with ya! My current WIP is hear wrenching and therefore difficult to write, but only because of subject matter not because the story’s not there. (does that make sense) What is your Writing Routine? Where do you write: In a cave, a coffeehouse, or a cozy nook? rem: How dare they steal away your cave like that! What makes you struggle as an author? How do you handle it? LAURIE: My first two books were written out of order with no plotting ahead of time, so they were a hot mess to edit! Fortunately I have learned the error of my ways and developed a better organizational system to keep that from happening again. But I would also say the temptation to compare myself to others is always a struggle. Did this author do this theme/element/trope so much better than I ever could? I try hard to snuff out comparisons and what-ifs before they can gain any momentum because they aren’t productive or rooted in truth. rem: Ya, comparisons can be deadly! (hmmm, methinks there might be a plot lurking in that thar statement…) What do you enjoy most about being a writer? LAURIE: I love the community the most for sure! It was very liberating to attend my first conference and realize where my people had been hiding all this time. rem: Me too! This community of writers is a whole new world, isn’t it! As an editor, do you edit your own work? LAURIE: Yes, but then I hand it off to trusted critique partners and beta readers. Even the most skilled and experienced editors need fresh eyes for their own work, in my opinion. If I ever self-publish anything, it will be edited by a paid professional for sure. rem: The more eyes the better! Tell us about your editing process and service? rem: I’m a perpetual editor (I know, I know) and caught the “then-then” typo recently! What are your top 3 recommendations for a new writer? What 3 things would recommend not doing? LAURIE: I would tell a new writer to find a solid community, read like crazy (in her genre and out of it), and write allll the words! Fear is a writer’s worst enemy, and it manifests itself in different ways, so don’t procrastinate or give in to the mind games! I would tell her not to get too caught up in reading craft books and blogs—not to wait until everything is “right” before she starts writing. I would tell her to not approach industry professionals (and especially not to publish on Amazon) until her work has received multiple rounds of trusted feedback and is gleaming. rem: Soooo much of which I didn’t know the first time around… Where do you get your greatest ideas for writing? LAURIE: People and that place between brokenness and healing where God is most tangible on this earth. rem: As authors we sometimes give our characters one or more of our personal traits. Have you ever taken on a trait of your character that you didn’t have before? LAURIE: Sometimes when I’m doing a reread or am deep into edits, I talk like them for a bit after I’ve been working. Kind of inconvenient when I’m writing a snarkier character. rem: No, really? hee hee Because I’m an actress I’ll start reading in accent. Lots of fun when there are characters with two distinct dialects! (welcome to my brain!) Tell us a little about your current book? What is your current project? rem: Of course! What is one take-away from your book(s) that you hope readers identify with? LAURIE: That no matter what their circumstances look like, not only are they never too far gone or too undeserving of redemption, but God is always good and was with them all along. rem: And that’s the bottom line, isn’t it? He’s always with us. You’re a virtual assistant, too. How did that come about? LAURIE: I was a full-time book publicist for seven years before kids and enjoy working as a busy bee behind the scenes. It incorporates a lot of my skills and training, so I added it to the umbrella of my business last year. I love helping people reach their goals and do what they do best by taking some of the more menial tasks off their plate. Plus, it’s flexible enough for life with littles! rem: Key word—flexible! Critical for writers and moms (and grammas!) Anything else you’d like to add? Thank you so much again, Robin! This was so fun! You ask the best questions! why thank you, Laurie! i think you gave the best answers! you’ll visit again, yes?